The Couplemate CM255 Fixed Ring Coupling is ADR Approved and rated to 49kN for road vehicles driven on the highway. Beware of fake ADR approval claims. These claims are common and cause problems during Vehicle Inspections. It is not possible to calculate the correct D-Value (because there isn’t one) then contact your manufacturer and ask for the item to be replaced. Two park brakes that suit this pintle ring coupling. Installed by DIY can be disastrous. Is your pintle ring suffering excessive wear and tear? Your trailer may have its tandem spring setup in the wrong location. Does the image on the right look familiar? Equipment installed in the wrong location can have a tragic effect. All trailers have different weights and lengths. Heavy loads must ensure even distribution across your axle load group. 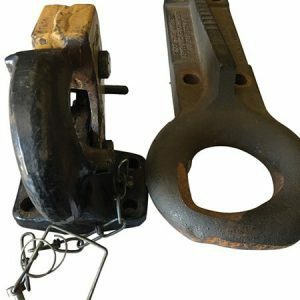 Buy a set of tow ball scales and measure your pintle hook head weight. It must be within the 5% to 7% range for a tandem trailer. Why are tow ball scales important? Read here. Without a tow ball scale, the head weight of your coupler is guesswork. Click here, to purchase Tow Ball scales for $54. DIY is great but only if you are sure of the installation techniques. When you purchase from Couplemate Trailer Parts, your CRN identification number for this product is located on your Invoice. ADR62/2 does not require an ADR compliance plate to be attached to certified products. The CRN on the approval letter will be the same CRN on your Invoice. If you are buying a similar product, just as good, with no CRN, then take it back as it may give you trouble down the track. Finally, validate CRN ADR compliant products by typing the manufacturer’s name here. 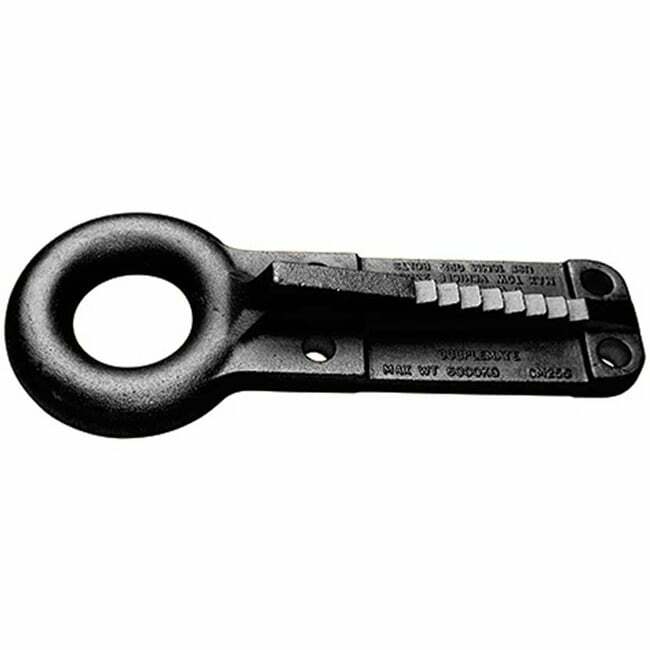 Editors Review: Probably the pick of the pintle hook equipment because it is the only pintle ring coupling in Australia, know to me to be tested and ADR Approved. What does that mean? The product has been tested and approved to be safe to use on highways. Other products, not tested are not safe. If you have purchased this product, let me know your thoughts and why you purchased it.